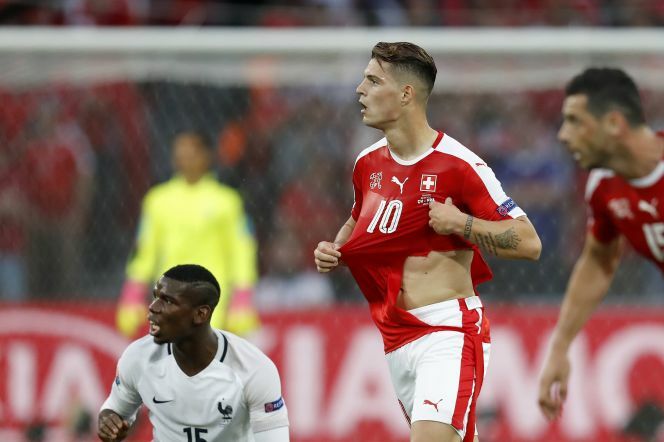 At the Switzerland vs France game a few days ago, 4 Swiss players had their jerseys torn! Apparently Puma made these jerseys. I’ve personally never seen a problem quite like that in a single game. Must just be cheaply made. In this game the ball even tore! But honestly I think its great that they tear that quick, shows the refs that they’re getting pulled on by the opponents! Previous Post Soccer Violence, is it necessary?